Jhora Geghamyan is an introverted teenage boy from the village of Tsovasar in Armenia. Due to a lack of jobs in the region, Jhora’s father has had to travel to Russia for work since Jhora was a baby. Because his father is rarely home, Jhora and his brother have become the “men of the house.” They help their mother tend to their farmland, working with livestock on the field and harvesting goods for sale. But since last year, Jhora’s eyesight has become blurred. Still, Jhora hardly mentioned the issue to his family and tried to downplay the pain. “He would never mention anything about the problem and would stay quiet,” Diana, Jhora’s mother, remembers. “I’m the man of the house and I didn’t want anyone to feel sorry for me,” Jhora says. By the time Jhora was able to visit an eye doctor, he was almost blind. 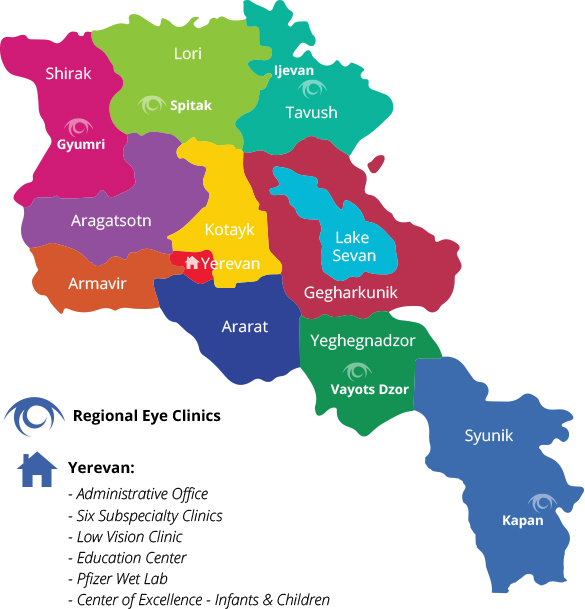 His physician, Dr. Anna Hovakimyan, who heads the Cornea Uveitis Clinic at the Malayan Ophthalmological Center in Yerevan, told Jhora that he would need a cornea transplant to regain his sight. Without the surgery, Jhora would go blind. That’s when Dr. Hovakimyan told Jhora and his family about the AECP’s Cornea Transplant Program, which gives patients in Armenia an opportunity to receive the transplant they need with the help of a donor sponsoring their surgery. After receiving the urgent call to help, we contacted some of our loyal supporters to see if they would be willing to sponsor the surgery. Thanks to an eagerness to help save the sight of this sweet teenaged boy in Armenia, the funds for Jhora’s surgery were secured within hours of the call for help. Jhora received a successful cornea transplant in one eye and, though he still needs a transplant in the other, he’s noticed a considerable improvement in his vision already. Jhora was so happy that he even called his father with the good news about his restored sight. Upon noticing Jhora’s raised spirits, his father cried tears of joy. Jhora echoes these sentiments. “I’m very grateful for the donors and doctors who helped me,” he says. Though Jhora’s sight has improvement considerably with a cornea transplant surgery in one eye, his other eye is still in need of a transplant. If you would like to sponsor Jhora to receive his second cornea transplant surgery, please contact us.